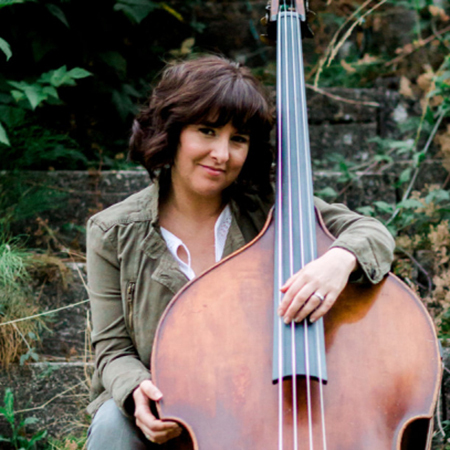 Juno-nominated bassist, composer, bandleader, and educator Jodi Proznick has earned a reputation as one of Canada’s finest jazz artists. She has won numerous National Jazz Awards, including Bassist of the Year in ’08 and ’09. Her group, the Jodi Proznick Quartet, was awarded the Acoustic Group of the Year and Album of the Year in ‘08 and the Galaxie Rising Star at the Vancouver International Jazz Festival in ’04. Her recent critically acclaimed release Sun Songs (Cellarlive), is a collection of original compositions featuring her quartet and special guest vocalist Laila Biali (Sting, Paula Cole, Chris Botti).